A-HOTEL.com - Luxury and cheap accommodation in Repnoye, Russia. Prices and hotel, apartment booking in Repnoye and surrounding. Situated in Belgorod, 11 km from Belgorod State Regional History Museum, Rezidentsiya features rooms with city views and free WiFi. With barbecue facilities, the property also has a terrace. Located in the picturesque area of Tavrovo, Dom Lesnika features a Russian steam bath and an outdoor pool. Free Wi-Fi is available. 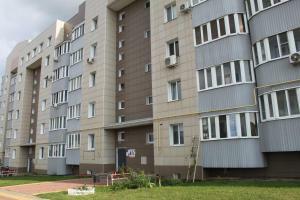 Bulvar Unosti 43 in Belgorod provides accommodation with free WiFi, 7 km from Belgorod State Regional History Museum and 7 km from Marfo-Mariinsky Convent. The property features mountain views, plus is 7 km from Belgorod State Fine Arts Museum. Bulvar Unosti 41A in Belgorod offers accommodation with free WiFi, 7 km from Belgorod State Regional History Museum and 7 km from Marfo-Mariinsky Convent. The property is 7 km from Belgorod State Fine Arts Museum and 7 km from Belgorod State Drama Theatre. This classical-style hotel in Belgorod offers spacious rooms with flat-screen TV, free Wi-Fi access, and international cuisine. It stands beside the M-2 motorway for Kharkov.